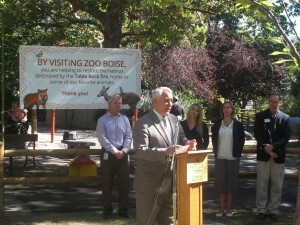 Zoo Boise and the Friends of Zoo Boise will contribute $100,000 from the Zoo Boise Conservation Fund to replant native vegetation on recently burned Table Rock. While plans are still being formulated, the funds will be used by the City of Boise and the Ridge to Rivers partnership to purchase and plant native seeds and seedlings that can be transplanted on-site next spring. Zoo Boise, which is part of the Boise Parks & Recreation Department, will work together to organize volunteers to help in the spring. In recent years, Zoo Boise’s ground-breaking conservation fee, charged as part of the zoo’s admission and costs for certain Zoo Boise activities has become a national model for providing funding to conservation efforts. It also has played a key role in a national conversation about “changing the zoo” from a place to simply learn about animals to a tool for saving them. To date, Zoo Boise’s conservation fee has contributed about $2 million to global conservation efforts, including its internationally acclaimed and successful work to help restore habitat and wildlife in Mozambique’s Gorongosa National Park after a devastating civil war. These funds are designated to help protect wildlife in Idaho and around the world. 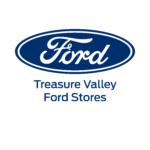 The Friends of Zoo Boise, which helps manage spending the conservation fund money, approved funding the Table Rock revegetation effort at a special meeting yesterday. The Friends of Zoo Boise also are in the midst of their ‘Zoo With A New View’ capital campaign to improve aging Zoo Boise exhibits and build a new Gorongosa National Park exhibit.